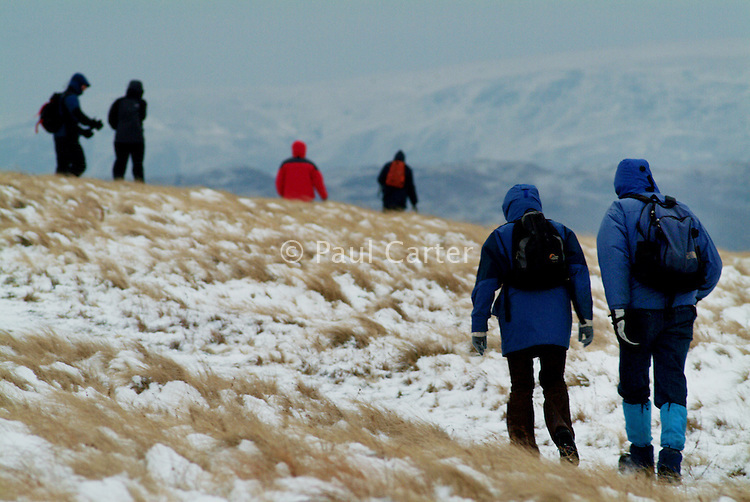 Group of walkers trudge through snow covered hills. The Lake District. Walk from the cottage over Matterdale Common towards Great Dodd.